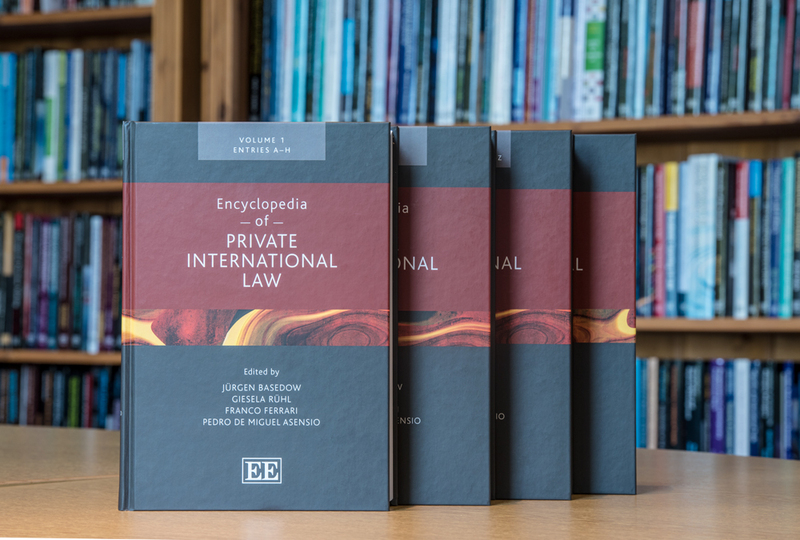 Out now: Encyclopedia of Private International Law! Hard to believe, but true: The Encyclopedia of Private International Law, published by Edward Elgar and edited by Jürgen Basedow (Max Planck Institute Hamburg), Franco Ferrari (NYU Law School), Pedro de Miguel Asensio (Universidad Complutense de Madrid) and me, has finally been released end of September. Bringing together more than 180 authors from 57 countries the Encyclopedia sheds light on the current state of Private International Law around the globe and provides insights into how the discipline has been affected by globalization and increased regional integration over the last decades. The Encyclopedia is available both in print and via Elgaronline and consists of four volumes. 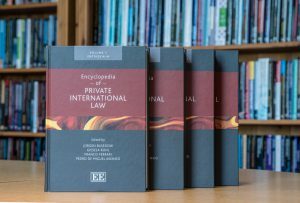 The first two volumes describe topical aspects of Private International Law in form of 247 alphabetically sorted entries. The third volume describes the Private International Law regimes of 80 countries in form of national reports. The fourth volume contains a collection of national codifications and provisions of Private International Law in English translation. More information is available here and here. I take the opportunity to thank everybody who has helped to make the Encyclopedia come true, notably the authors and translators (many of them editors or readers of this blog), my fellow editors, my team at the University of Jena and last but not least the team over at Edward Elgar! Should you be interested in receiving a review copy please send an email to reviews@e-elgar.co.uk.